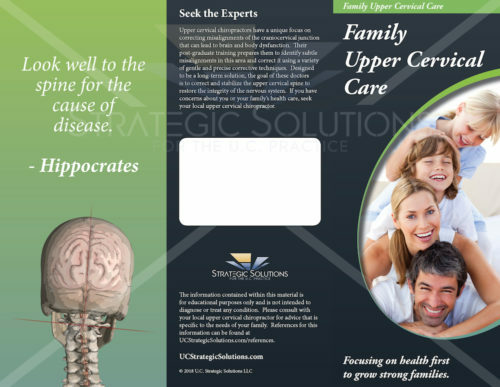 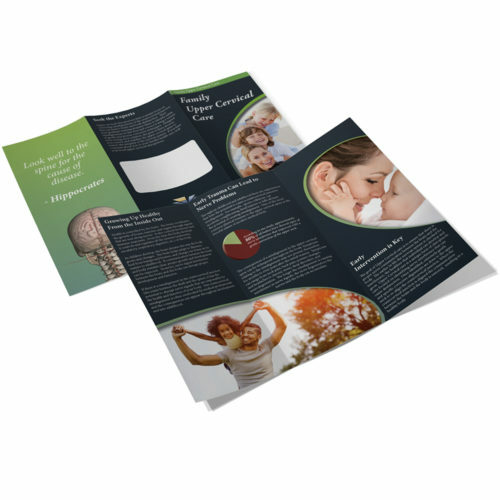 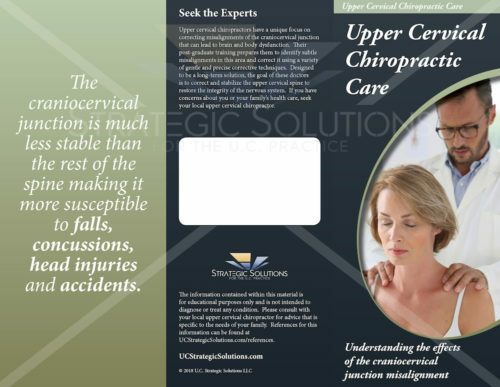 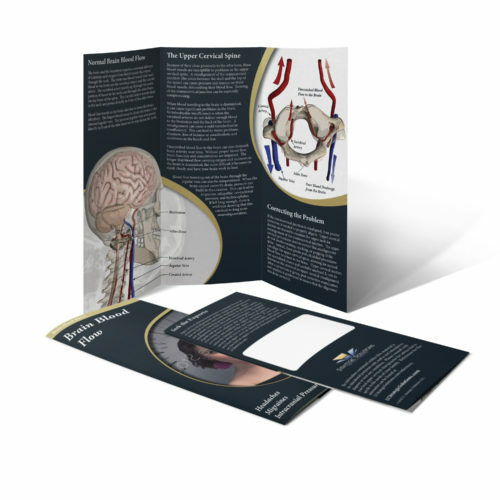 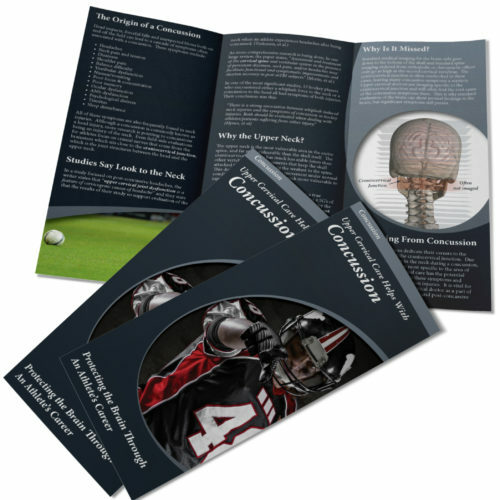 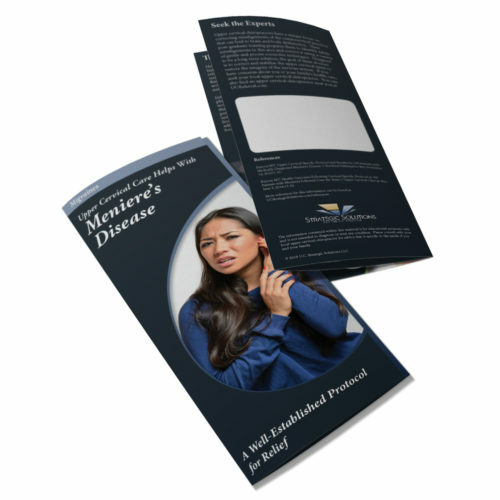 Trifold brochure with a sharp, inviting design and high resolution colorful graphics depicting the effects of the upper cervical misalignment on the limbic system through the sympathetic response. 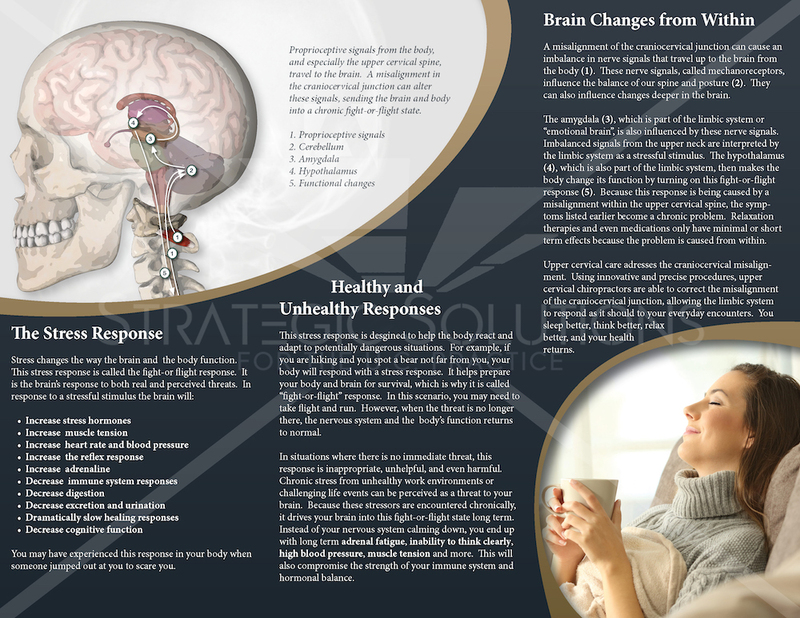 A patient-oriented brochure describing the stress response of the brain and how it effect the body. 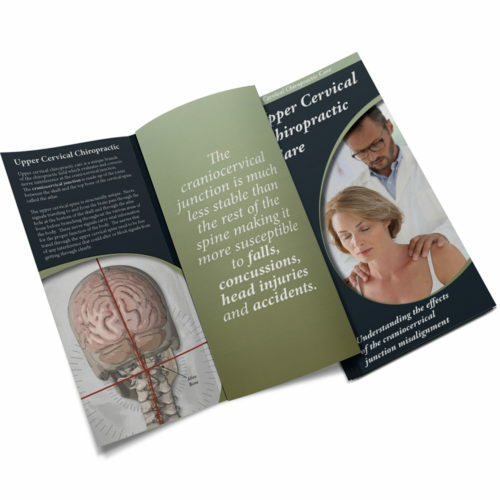 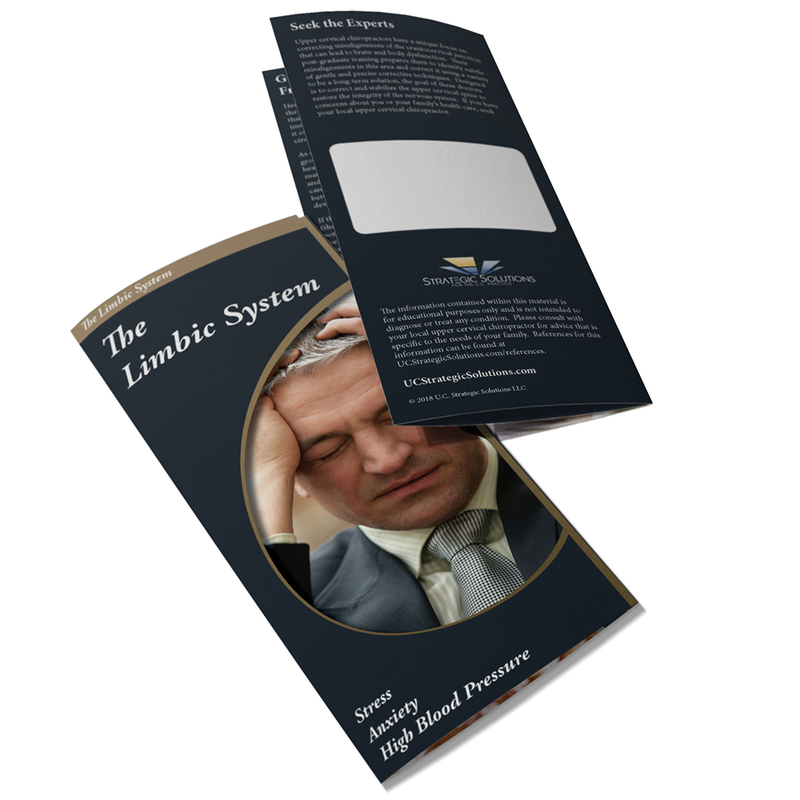 This brochure describes the effects that an upper cervical misalignment has on the limbic system. 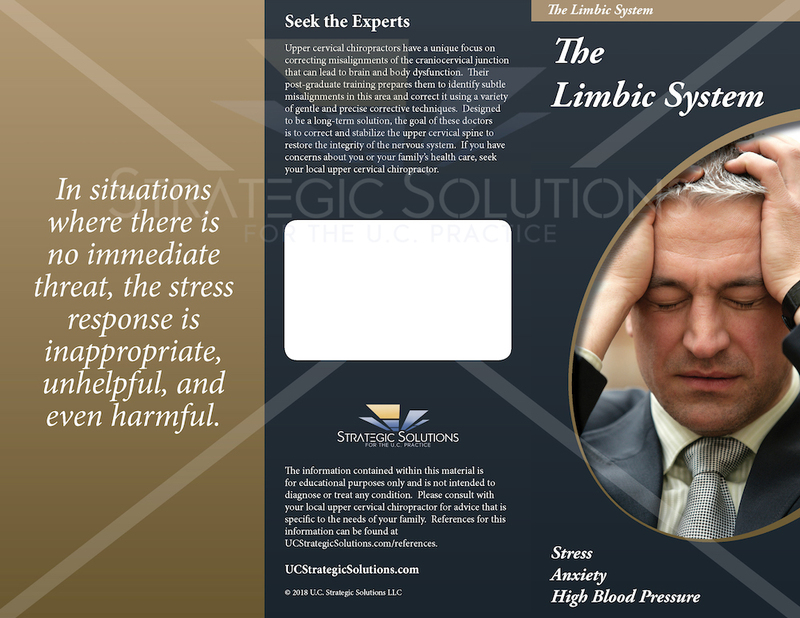 It also describes multiple ways the stress response can be initiated properly and improperly.